Cecil’s presentation on Transformative Constitutions examined the use of preparatory documents such as the Constitution of Kenya Review Commission Report (for Kenya) and the Multi Party Negotiating Process Reports (for South Africa) in rights decisions, using the Federalist Papers (the United States) as a case study. 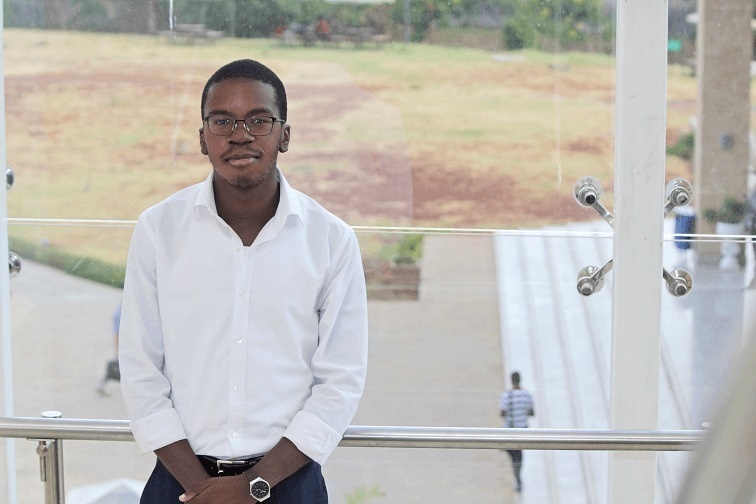 He will be going back to Harvard Law School in September 2019, this time as a Masters of Laws (LL.M) student after securing a slot among the 189 out of nearly 2000 applicants from about 70 countries that will make up the LL.M cohort of 2020. 2018 was a good year for him. Apart from the visit to Harvard, he presented two other papers: Reconsidering the East African Court of Justice’s Nyong’o decision and its Aftermath’ which was presented at the Supranational Courts PhD seminar and conference at the University of Luxembourg, and an ‘Overview of the State of the Right to Administrative Justice in Kenya’ presented at the Workshop on Administrative Justice Reform in Eastern and Southern Africa, in Gaborone, Botswana. His choice of Harvard cannot be disputed. Harvard is the oldest institution of higher education in the United States, established in 1636. It was named after the College’s first benefactor, the young minister John Harvard of Charlestown, who upon his death in 1638 left his library and half his estate to the institution. The institution boasts of notable alumni: Barack Obama and his wife, Michelle, and several Associate Justices of the Supreme Court of the United States. Some of its alumni in Kenya include Prof. Makau Mutua and Makueni Governor, Kivutha Kibwana.